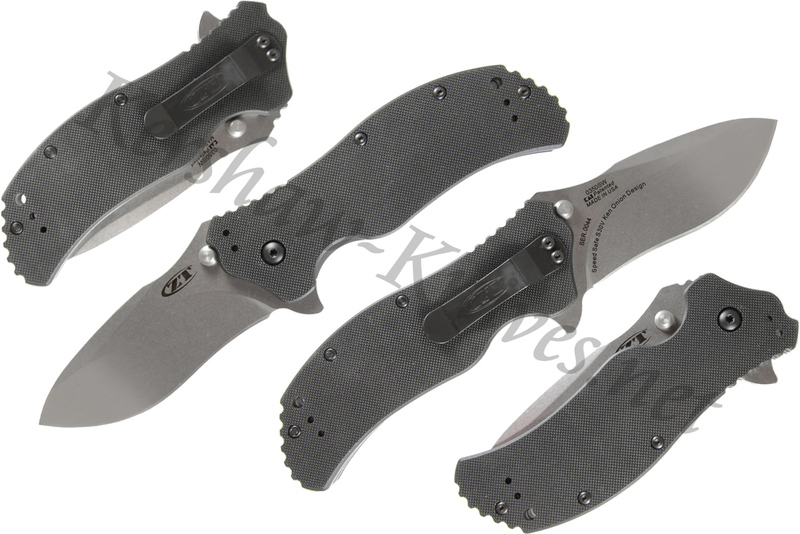 The Kershaw Zero Tolerance 0350SW knife has a stonewashed S30V blade. A quad-mount pocketclip allows you to mount this knife in tip up, tip down, left-hand, or right-hand operation. It employs the SpeedSafe assisted opening system to get the blade out in a hurry. Textured black G-10 on the handle gives you the standard tight grip in wet and dry conditions.